Join Us!!! We are looking for someone to help us cover Singapore basketball. Please send us an e-mail. Westports Malaysia Dragons missed out another season this year to reclaim the Straits Cup from the Singapore Slingers, losing a challenging double overtime game by a razor-thin point, 90-89. The week of two away games in China and Singapore marked the third consecutive loss for the Malaysian team in their bid to upset Slingers at their home court. It was an exciting game for both teams as Dragons and Slingers were struggling to find the pace but eventually found the footing in the court with the knives on each others' neck. The match between Dragons and Slingers was the second double overtime game for the Malaysian team. With three key players fouled out of the game and Marcus Marshall who had to sit out in the fourth quarter, the Dragons held the fort well towards the last seconds of the game. 'For us, our energy and effort often dictate our results. I thought our first half effort was very poor and our energy level left a lot to be desired. There were times in the first quarter where we had a chance to blow open the game but we played too flat and lethargic. It was a one point game going into the second quarter and then the wheels simply came off to end the half. 'We had no attention to detail and we fell behind because of a simple lack of effort and no energy!.' Dragons head coach Christopher Thomas said. Dragons' Tian Yuan Kuek (201-C-91) became the star of the team leading an early nine-point score from this three three-pointers. Kuek recorded a double-double in the game with 21 points and 15 rebounds. Joshua Munzon (191-G-95, college: CS Los Angeles) and Patrick Cabahug (186-G) stepped up to the par at 20 and 18 points respectively. Slingers' Xavier Alexander (198-G-88, college: S.Nazarene) continued his prowess in the league so far with 32 points, 8 rebounds, 8 assists and 7 steals while the two-time best defensive player Christien Charles (216-F/C-81, college: Villanova) had 17 points and 18 rebounds. 'To our guys' credit though, we responded big time coming out of the halftime break. We were able to refocus our effort and direct our energy on doing the things it takes to be successful. We had a real wake-up call in the locker room and I was very proud of how our kids responded so positively!' Thomas said. Malaysia Dragons were scouring for baskets in the first quarter and marred by multiples of missing shots. Three early turnovers by the Dragons gave away early lead to the Slingers by Xavier Alexander and Chris Charles, raking early 5-0. Tian Yuan Kuek moved away from the clutter and wrestled a shot from the perimeter to hit a three-pointer. It did not take long for the Dragons to equalise the game at the six minutes down in the first quarter, Tian Yuan showing off his mojo doing a triple three tying at 9-9. Dragons were on the track and picking up the early mistakes to reclaim the lead from the Slingers with a layup from Munzon, but later tied the game back again at 11-11 after Charles took his own offensive rebound for another basket before the timeout midway in the quarter. Slingers were going head-to-head with the Dragons and this time it was a high-point three pointer baskets to put Dragons to lead again 13-16 from Cabahug. Time was ticking down to close the first quarter as Slingers was only a point shy away from the Dragons at 17-18, a three-pointer by Ng Han Bin put Slingers back in the lead, 20-18. Dragons closed the quarter a point shy away from Slingers, 20-19. Kuek leading the pack with 11 points similarly with Alexander at 11 points too. Slingers did not back down and took a run at 11-3 scoring run, locking down the Dragons in the den. The Dragons were already trailing by nine points in the early three minutes of the second quarter, 31-22. The Malaysian team was unable to put a stop to the leak, leaving more open space for the Slingers extended their lead by 14 points, 38-24 with three minutes left before the halftime break. The journey for the Dragons to patch up the previous quarter was way off the mark closing the halftime with just 10 points scored compared to 24 points. Slingers took on a stride ending the second quarter with 15 points lead over Dragons, 44-29. Dragons were lost in the slow ball movement and Slingers took advantage of the defensive transition, limiting Dragons to just 3 out of 19 attempts for two points. Slingers made 15 out of 33 attempts. All is not lost for the Dragons in the second half, the young Malaysian team ran for a 9-2 scoring run from Munzon and Marshall to shave the lead by the Slingers down to 10, 48-36. Seven points by Munzon, chasing from the home to put Dragons back to the game and left Slingers hanging to eight points lead, 48-40. It was a gridlock for both teams after Marshall's two free throws and two minutes went without baskets. Marshall ended the round with a three pointer followed by Tian Yuan's layup to catch up behind Slingers by a point, 48-47. Dragons effectively put the lid on Slingers scoring only 11 points and as the last two seconds of the quarter, Slingers' Ng Han Bin made a run to close the period at 55-47. The Malaysian team played a much better quarter without any turnovers, pushing the limit to the Slingers with four turnovers and missed many shots. The Dragons challenged Slingers despite missing some crucial shots at the beginning but the team began to show signs of adjustment to the Singaporean team. Marshall was attempting for a jump shot in the final three minutes of the game but he had to sit out for a possible injury. Dragons were still eight points behind Slingers, 68-60. With just a minute left in the game, Cabahug stepped up to the plate, sinking three-pointer and a layup as the clock ticked down to the last forty seconds. Dragons were still behind by five, 70-65. Munzon attempted for a three-pointer but missed and as the buzzer blared, his layup pushed the game into an overtime at 72-72. In the first overtime, Dragons kept their composure well despite much pressure from the Slingers attacking the basket. Despite scoring 7-2 points in the run from the Slingers, the Malaysian team held their fort well and caught back up from the deficits. AJ West' layup assisted by Munzon equalised the game back to the tie at 79-79 in the final minute of the overtime. Although down by two, Cabahug tied the game back at 81-81 after two free throws and extended the game to a second overtime. Dragons began the second overtime on a run with four points baskets from West and Munzon, 81-85. Just under three minutes, AJ West was fouled out of the game. Dragons still in lead over Slingers, 82-87. Alexander tied the game back again for Slingers at 87-87 at just about a minute left in the second overtime, Kuek was unfortunately fouled out in the midst of the ball hustle. Chris Charles layup gave a breath of hope for Slingers again to lead by two, 89-87. Cabahug responded with a tie again at 89-89 but another shutdown for Ivan Yeo when he booked his fifth foul. Moments later, Alexander gave a point lead for the Slingers after making one out of the two free throws, 90-89. In the last 20 seconds down the clock, the Dragons scrambled on the floor for the final basket by Munzon. Luck was not the side fo the Dragons, Charles held the ball back from a rebound as the clock ran out for a winning game to the Slingers. This will be a second consecutive time for Singapore Slingers defending the Straits Cup this season. 'We are still young and still growing so our attention to detail still must be there going forward. Our ability to close out quarters, halves, and games must improve as well, but we will absolutely get there!' Thomas added. Westports Malaysia Dragons will be back home and playing against Indonesia's CLS Knights on February 4 at 2.30PM, MABA Stadium Kuala Lumpur. What was supposed to be a tight game turned out to be a rout as the Singapore Slingers outclassed Hong Kong Eastern 101-70 in Game 1 of the Asean Basketball League (ABL) play-offs semi-finals on Friday (April 12). 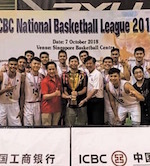 Coach Neo Beng Siang was all smiles in front of over 2,000 fans at the OCBC Arena and declared that this was a display of "real basketball". "We did well on both ends. There were a couple of sloppy turnovers, but we committed only nine in the end and that's really good," he said. "One thing I'm really happy about is that we played together as a team, with 28 assists. That shows we trust one another and, hopefully, we can keep it up going into Game 2. "Everyone contributed and I'm really happy with that. Jerran (Young) got into foul trouble, but the locals stepped up to stick to (Marcus) Elliott (Eastern import) and limited on his scoring." The Slingers raced to a 11-3 lead, aided by sharp shooting and Eastern's sloppy passes. Scoring guard Young picked up three personal fouls, limiting his playing time but local players Ng Han Bin, Delvin Goh and Larry Hua Liew (191-G-93) stepped up in his absence to extend their first-quarter lead to 32-20. Eastern tightened their defence in the second quarter, but were no match for the Slingers' speedy footwork and attacking play as the Slingers surged ahead to lead 61-32 at half-time. The home side maintained their tight defence and momentum for the remaining two quarters to take a 1-0 lead in the best-of-three ABL semi-finals. Eight of the 11 fielded players got on the scoreboard as centre John Fields (205-F/C-88, college: Tennessee) top-scored for the Slingers with 29 points followed by fellow Americans Young and Xavier Alexander (198-G-88, college: S.Nazarene) with 16 points each. The local players shone as well with Goh scoring 15, Liew contributing 11 and Ng adding nine. Goh praised his local teammates for stepping up and said: "I'm definitely happy, but we cannot be satisfied with our performance. "Hong Kong is a totally different venue and Eastern have the crowd behind them so we have to fix things up offensively and defensively and do what we do best there." Eastern's top scorer O'Darien Bassett (189-G-86, college: Troy) had an outing to forget, scoring only nine points. Fellow Americans Elliott and Michael Holyfield (211-C-92, college: SHSU) scored 19 points apiece. While Neo praised his team for a stunning performance, he warned them against getting complacent ahead of the away game next Wednesday. "We can be happy, but we cannot be satisfied. We must be mentally prepared and start the game with this intensity and aggression. We want to finish there." A deciding Game 3, if needed, will be played on April 21 at the OCBC Arena. The Singapore Slingers took the first lef of the 'Straits Cup', defeating their long-time ASEAN Basketball League (ABL) rivals Westports Malaysia Dragons on the road, 87-76. The Straits Cup is an annual weekend of two games between the neighboring teams, with the aggregate scores determining the winners. The Dragons won the inaugural edition in 2016, while the Slingers took the last two editions. Chris Eversley (201-F-91, college: Cal Poly - SLO) sparked the Dragons' early success, giving them an early five-point lead midway through the first after hitting a three. 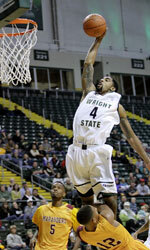 Unfortunately, two fouls called on Winston Shephard forced him to the bench early on in the game. The Slingers then took advantage, grabbing the lead for good through a Jerran Young basket late in the first. Despite Shephard picking up his third foul early in the second quarter, the Dragons were relentless in keeping up with the visitors. Singapore maintained their lead at five going into the halftime break, and the second half was just as close as both teams traded scoring runs. Yek Liang Chuan's jumper kept the Dragons in the game, with the deficit only at four early in the fourth quarter. Malaysia had no answer for the import duo of Xavier Alexander (198-G-88, college: S.Nazarene) and John Fields (205-F/C-88, college: Tennessee), who were relentless in attacking the paint and led the Slingers to a 10-2 run, eliminating all hopes of a comeback for the Dragons. The Slingers cruised to the 11 point victory with a John Fields exclamation dunk ensuring the visiting team picked up the victory after their 12 days break. They finished the game with 60 points in the paint as the Dragons struggled to contain the Slingers inside offense. Xavier Alexander led the Slingers with 28 points, 12 rebounds and four assists. The 66 percent free throw shooter went against his season form, going perfect at the line for the night scoring 10 free throws. Fellow import John Fields had an equally impressive night with 28 points and 17 rebounds. Nnanna Egwu (211-F/C-92, college: Illinois)'s season high 26 points and Winston Shephard's double-double effort of22 points and 11 rebounds were not enough for the Dragons.